Do you want to learn the skills needed to become a pharmacy technician? This course teaches the different roles and responsibilities of a pharmacist technician and guides you through the vital basic skills required in this profession. By the end of this course, you will know how to ensure the safety of people taking different medications, how to operate a cash register, enter patient information, resolve online insurance claims, and much more. Measuring and dispensing medication for patients is a delicate task that needs accuracy and proper education. With this pharmacy technician course online, you will learn how to do this correctly. The primary rule of retail merchandising and performance review will be discussed, and you will learn the difference between medical errors and medication errors. Further into the course, you will learn how to review prescriptions, enter a prescription into a computer, generate a prescription label, and fill a prescription. 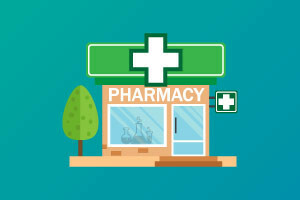 What else can you learn from this pharmacy technician online course? Aside from being able to differentiate between a suspension and an emulsion liquid dosage form, you will also be shown how to identify dosage formulations utilizing the transmucosal route of administration. The four systems of measurement commonly used in pharmacy, how to convert units from one system to another, and the meanings of the prefixes most commonly used in metric measurement will also be taught. If you want to have a career as a pharmacy technician, take advantage of this free online pharmacy course. Aside from learning the responsibilities of this healthcare profession, you will also be shown how to effectively communicate with the patients who come to you, as well as identify a variety of strategies for successful adaptation to the work environment. Check out the course now, and boost your career today! Differentiate between a suspension and an emulsion liquid dosage form. dentify dosage formulations utilizing the transmucosal route of administration. Describe four systems of measurement commonly used in pharmacy and convert units from one system to another. Explain the meanings of the prefixes most commonly used in metric measurement. Identify a variety of strategies for successful adaptation to the work environment. Explain the role of the pharmacy technician as a member of the customer care team in a pharmacy. State the primary rule of retail merchandising. Define and differentiate the terms licensure, certification, and registration. Describe the performance review process.